Facebook Stories might not be a ghost town for long. After testing in Portugal last month, TechCrunch spotted the option to syndicate your Instagram Stories to Facebook Stories appearing to US users. Now Facebook confirms this feature is officially rolling out, and everyone should have it soon if not already. The only exception is businesses, since they’re not allowed on Facebook Stories yet. “You now have the option to share your Instagram Stories to your Facebook Stories. We’re always working to make it easier to share any moment with the people who matter to you” a Facebook spokesperson told TechCrunch. Facebook also told us that while you can’t do the reverse, posting Facebook Stories to Instagram Stories, it hasn’t ruled that out building that in the future. The feature should drastically cut down on the annoyance of manually syndicating your Stories, which takes both extra time and can lead to reduced image quality as posts are saved and re-uploaded elsewhere. Stories are supposed to be raw, and created in the moment, but all that cross-posting can steal your attention from what you were doing. This Snapchat Stories clone has been criticized as redundant, considering Facebook already had Instagram Stories, Messenger Day, and WhatsApp Status. And a daily active user count has yet to be announced for Facebook Stories, despite Instagram touting 100 million just two months after launching in August 2016. Instagram Stories now has over 250 million, just like WhatsApp Status, while Messenger day has over 70 million. Instagram doesn’t disclose the break down of its 250 million users in terms of people who post versus those who just watch, but the roll out of the syndication feature could bring a ton of new content to Facebook Stories, which recently added viewing desktop. Instagram is also bringing Stories viewing and posting to desktop. That indicates that people are willing to watch Stories on Facebook…there’s just not as much content there since it’s only open to users and public figures, and its camera is more glitchy and less familiar. Meanwhile Instagram Stories’ polished composer is widely used and open to brands. So essentially, if you’re looking for viewers, there’s a big opportunity on Facebook Stories right now. Hopefully down the line Facebook’s whole family of apps will allow easy cross-posting, so no matter whether you compose on Facebook, Instagram, WhatsApp, or Messenger, you’ll be able to share to all the networks you want with a single upload. If Facebook got really smart, it’d even understand who had watched what where, so you wouldn’t see the Story you just viewed on Facebook show up unwatched at the front of the Instagram Stories section. The increasing audience and interoperability of Facebook’s four Stories products should worry Snapchat, which saw daily user growth plummet from a stellar 17.2% per quarter before Instagram’s clone launched last year to a soggy 4.2% in Q2 2017. 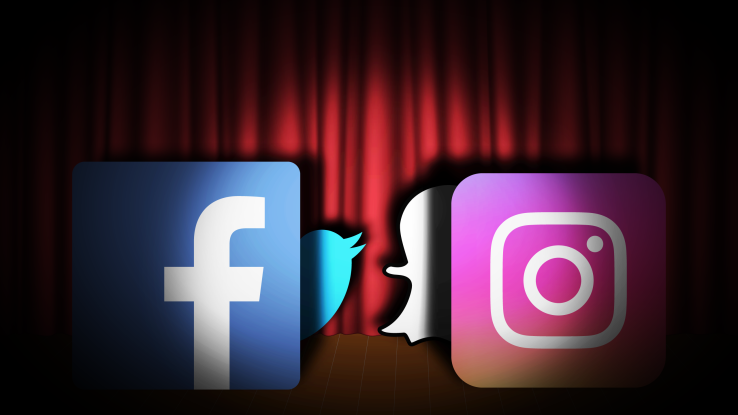 Snapchat still clings to its reverse chronological feed despite the relevancy sorting Facebook offers in its News Feed and Stories making it easier to keep up with your close friends. So even though Facebook may have to swallow its pride, if Stories are what users want, it’s going to give them to the world. And all the metrics indicate that Facebook’s users want these vertical video slideshows, no matter who invented them. 2 Responses to "Instagram Stories launches cross-posting to Facebook Stories"